Record stores are not just a place to buy analogue media. 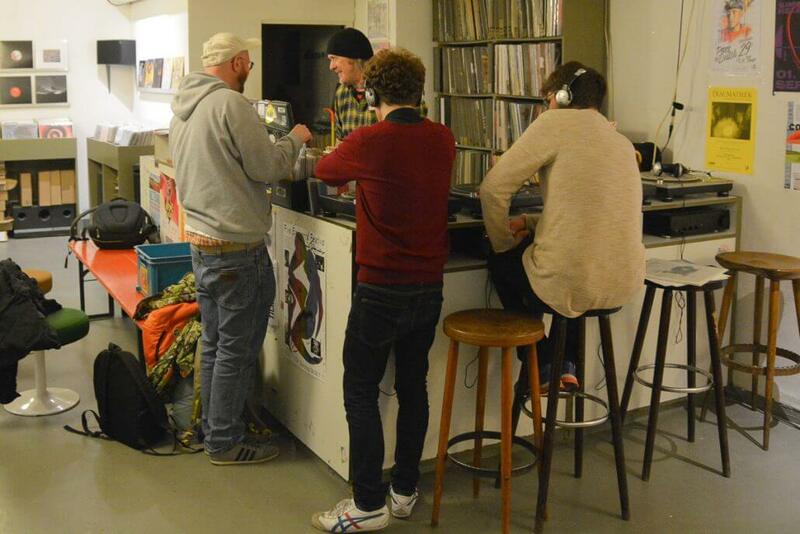 On the contrary, they’re a place for vinyl enthusiasts to congregate and enjoy a proper chat with their brothers and sisters in spirit. 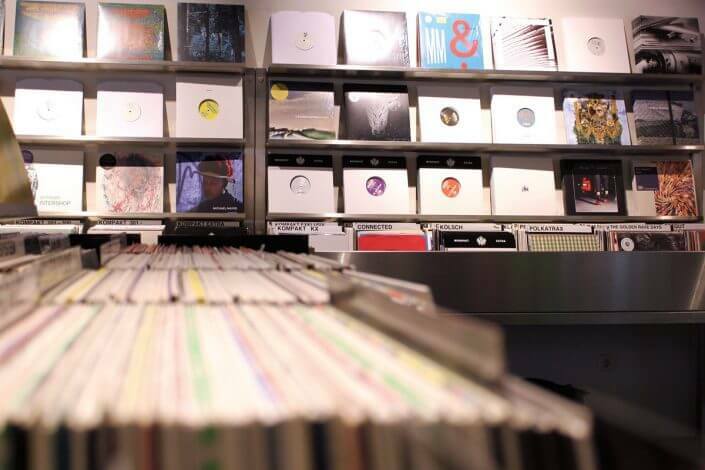 Having emerged from the dark ages of digital dominance, today record stores are enjoying a veritable renaissance. 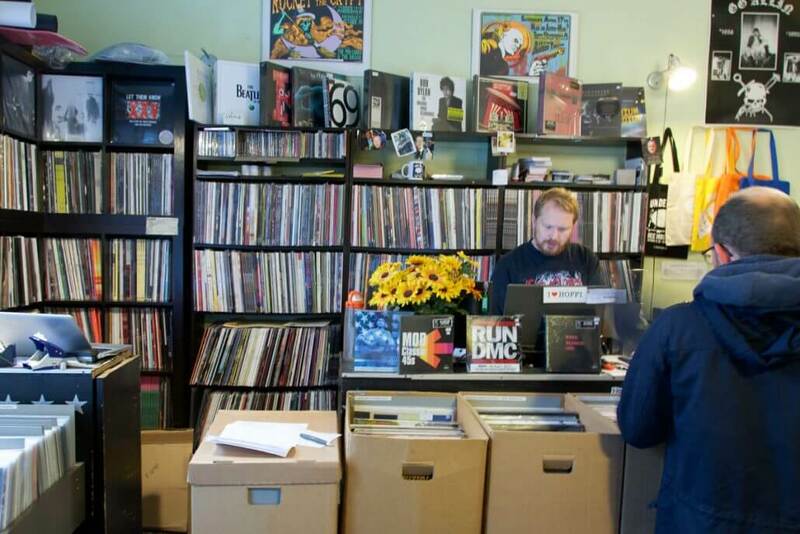 Here is part 2 (check out part 1) of my record store mini-series, featuring four more stores with great taste. 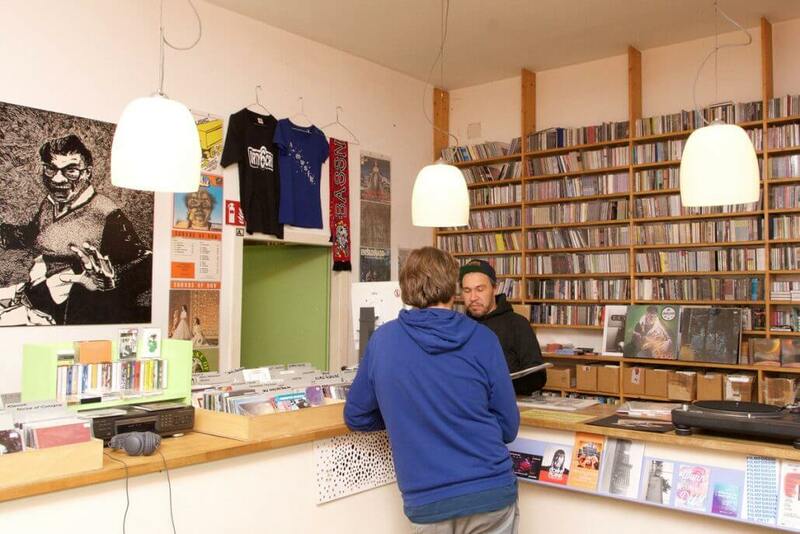 Hardly one of the city’s most exciting streets, Werderstraße is in fact a tourist magnet of the first order: it’s the home of the HQ of record label Kompakt, best known for its contribution to global pop culture in the form of minimal techno made in Cologne. This is highly valued by the connoisseurs who flock to Cologne from across Europe and beyond to worship at the altar of proprietors Michael Mayer, Wolfgang Voigt and Jürgen Paape and immerse themselves for a few hours in the electronic music world and the expertise of Kompakt’s staff. Customers are welcome to sample the wares on the turntables before they buy. 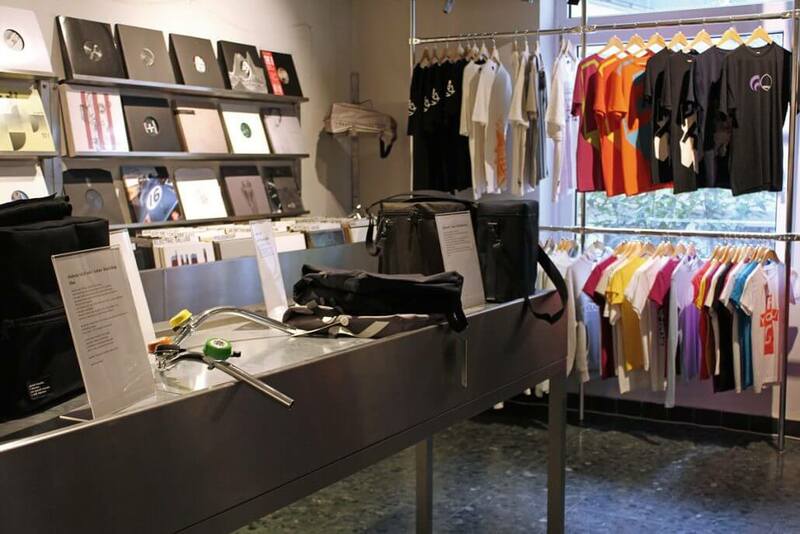 And don’t forget to pick up a couple of souvenirs as well, such as the Kompakt bike bell with its guaranteed minimalist sound. 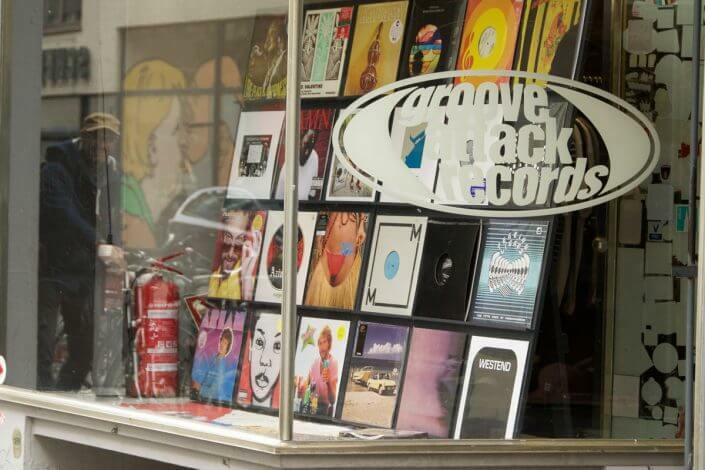 Groove Attack Record Store is a temple of good taste in more ways than one. Located in the basement of Monsieur Courbet, a high-end gentlemen’s apparel store (www.facebook.com/Monsieur-Courbet), shoppers can select a few choice pieces of clubwear before heading downstairs to browse the soul, funk, hip-hop, reggae and ska selection in Groove Attack’s minimalist basement space. 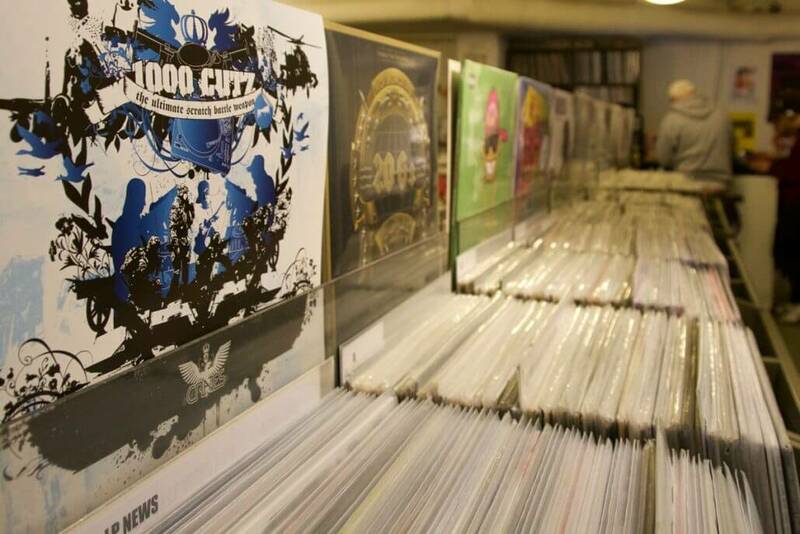 The vinyl on offer also includes various subgenres of electronic music. 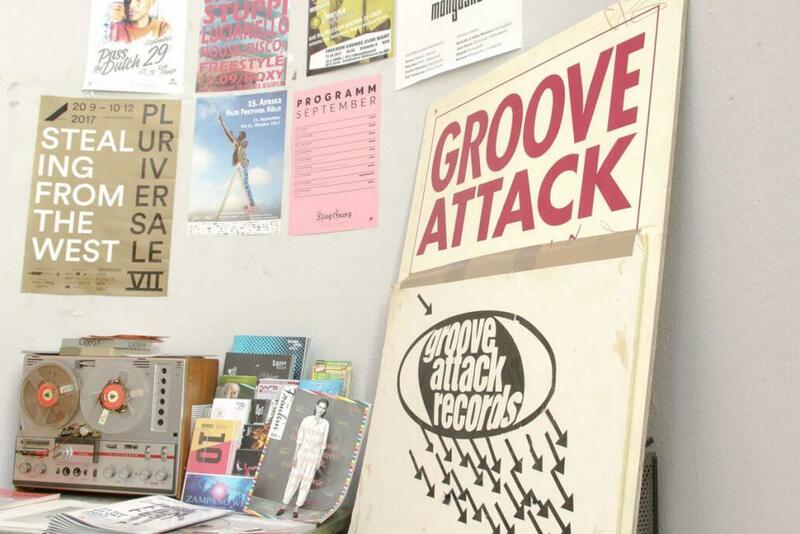 And despite Groove Attack’s infallible instinct for up-to-the-minute trends in contemporary dance music, it more than deserves its long-standing reputation as an authority on dance music, which dates back to when Spex still had its Cologne offices and Cologne was the music capital of Germany. Not much has changed since then. 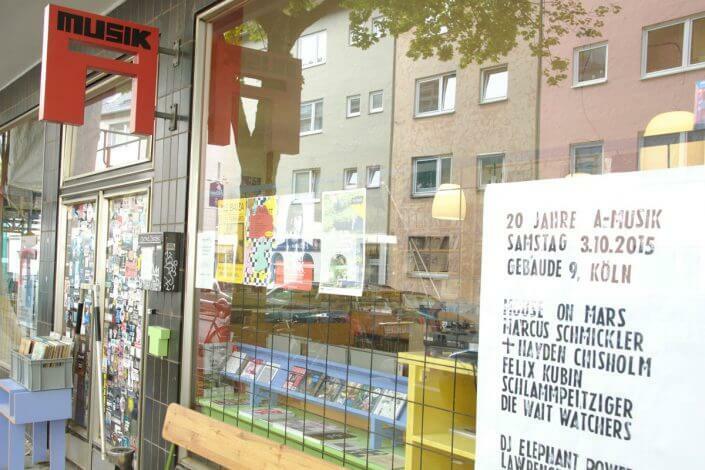 A-Musik doesn’t just sell vinyl, it’s also a label which, along with Kompakt, has been instrumental in creating the “sound of Cologne” that’s recognised and appreciated around the world. 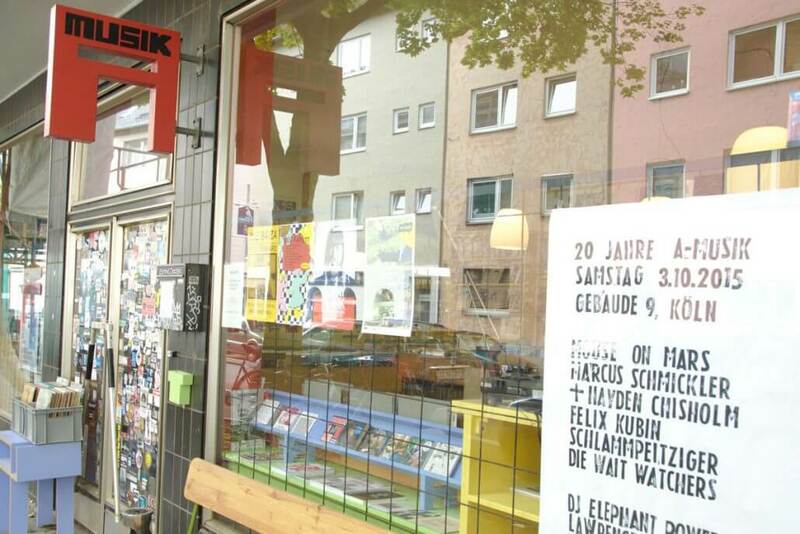 In this context, A-Musik is all about experimental sounds. 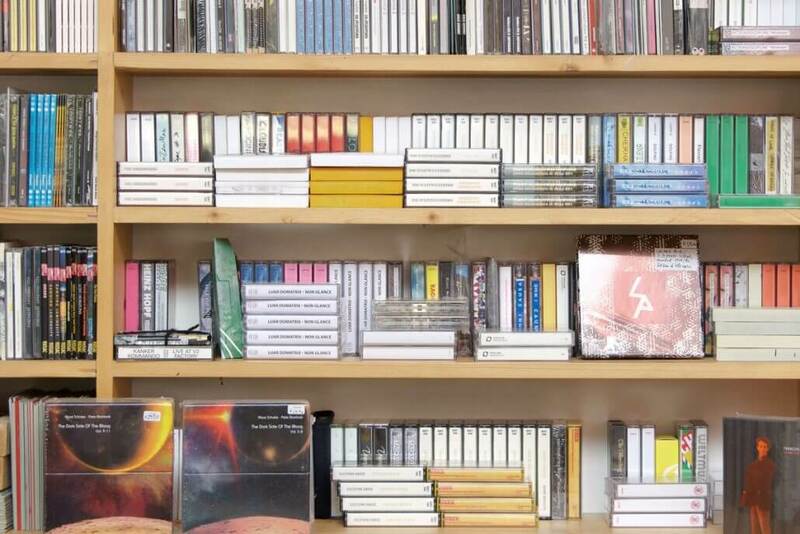 Founded in 1995 by Georg Odijk, the label has focused chiefly on German artists such as Schlammpeitziger and Freiwillige Selbstkontrolle, yet the vinyl on offer is as international as it is sophisticated, ranging from difficult-to-digest Sun Ra all the way to the musings of the elfin Joanna Newsom – a diversity that is highly valued by A-Musik’s demanding clientele. 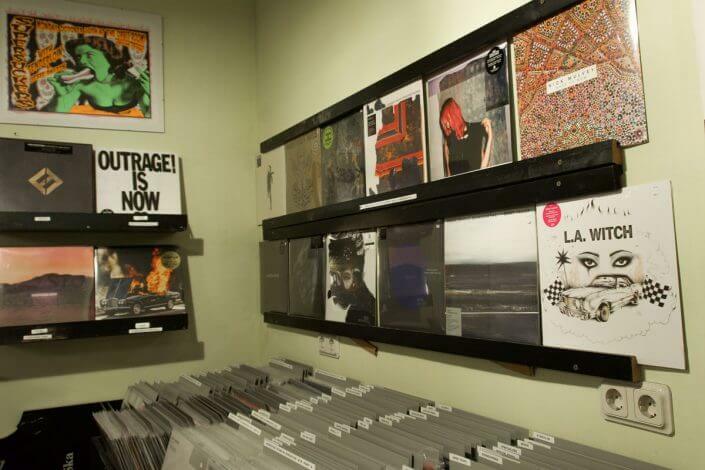 Punk and hard-core is how Underdog Recordstore earned its reputation among its regulars in the early years. 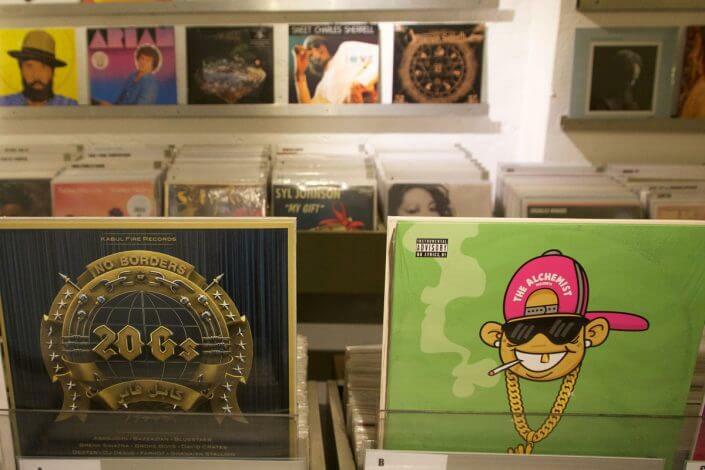 Two decades on, Underdog has become known as a trustworthy source of vinyl in other genres, too. 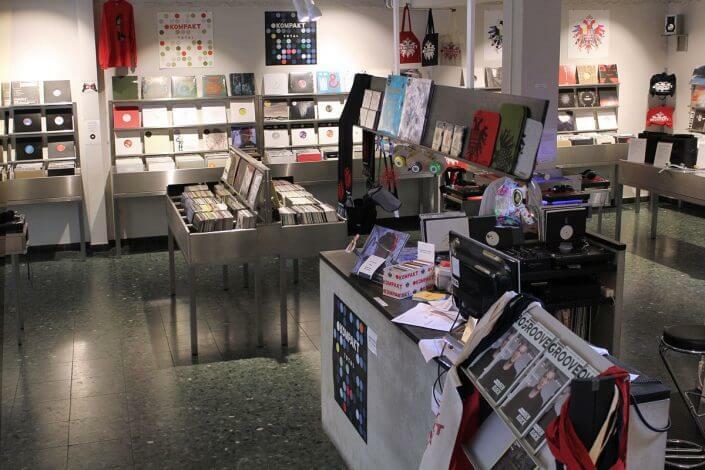 Looking for 80s Scottish guitar pop or 90s American garage rock? You’ll likely get lucky here, because every available square inch is occupied with crates and crates of vinyl, which may even hold that one elusive record that’s still missing from your Leonard Cohen collection. 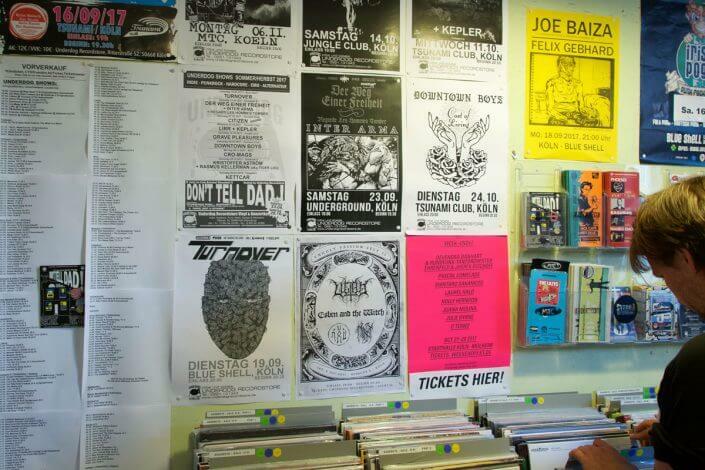 The diversity of music on offer here by no means suggests that Underdog has neglected its followers of old. The specialist departments for subgenres such as noise, rockabilly or old-school hip-hop still offer rich pickings. And there’s another bonus: Underdog sells tickets for a wide range of concerts, notably Hard gigs – just like in the good old days.